Stop by the third annual It’s All About Science Festival for a chance to see SDPB’s Science Steve present amazing experiments. The festival, sponsored by Sanford Research, will be Saturday, June 14 from 9am-5pm at the Sanford Center in Sioux Falls, 2301 E. 60th St. North. The free event offers all ages a chance to learn more about science, technology, engineering, and mathematics at more than 50 exhibits. South Dakota Public Broadcasting is a statewide multi-media network offering quality entertainment and lifelong learning via Television, Radio, Internet and Education & Outreach. 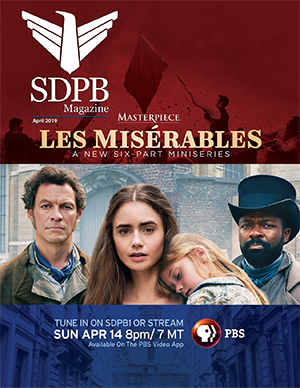 For information about SDPB and the Friends of SDPB, go to SDPB.org or call 800-456-0766.